One day in 1940 a pretty 15-year-old girl who had worked as a child model was asked by her party date why she was pulling such a funny face. Checking in the mirror, she was appalled to find that the muscles on the left side of her face had gone totally slack and were paralyzed that way. Diagnosed with Bell's palsy, a rare neurological disorder from which people at the time generally did not recover, the aspiring actress had for a time to close her left eye with her hand when she went to sleep and had to push the left corner of her mouth up into a frozen smile before she went off to school each day. 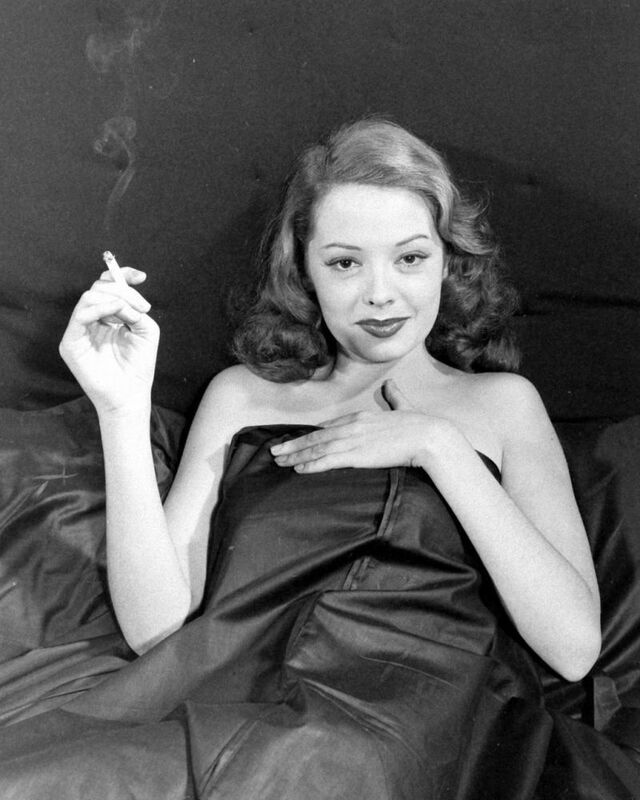 The painstaking therapy she performed on her face not only peaked her ambition to act but also dispelled the disfigurement almost entirely, though one wonders if it may have contributed to the patented look important in making Jane Greer one of the most intriguing performers of her day--a calm, quizzical gaze and an enigmatic expression that led RKO to promote her as "the woman with the Mona Lisa smile". 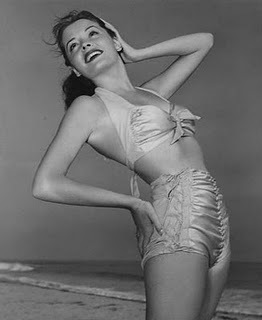 Although her appearance as a WAC model in LIFE led to several screen tests, studios like Paramount dismissed the lovely young ingenue as being identical to many already under contract, and quirky billionaire and dabbler in film Howard Hughes seemed in no rush to get Greer onscreen. 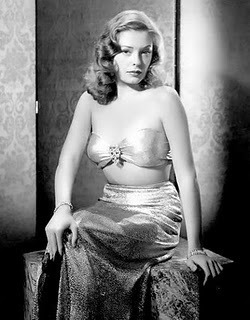 Aided by ex-husband but still-ardent admirer Rudy Vallee, Greer took the bull by the horns and landed a contract with RKO. 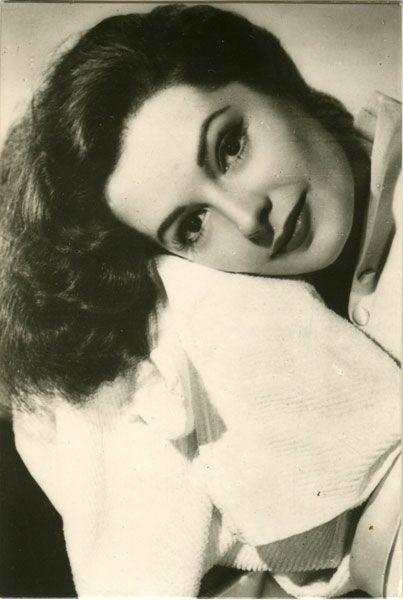 Making a modest impression in several slinky villainous parts led to her sympathetic starring role in "They Won't Believe Me" (1947) opposite Susan Hayward and an atypically caddish Robert Young. 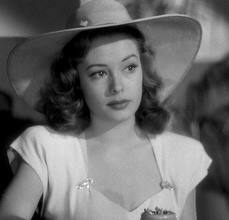 The role that really put Greer on top, however, was her Kathie Moffett in "Out of the Past" (1947), now recognized as one of the greatest entries in the film noir cycle. 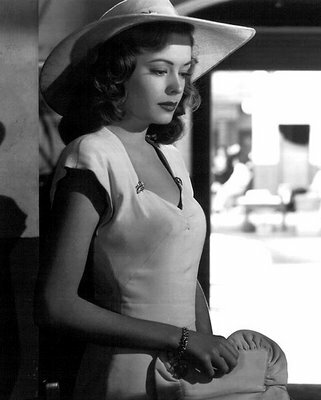 Portraying a seemingly innocent woman on the run from her gangster lover who turns hard-as-nails as she manipulates a feckless detective, eventually killing them both, Greer used her beautifully modulated alto voice and understated intensity to manage the considerable feat of stealing the film from Robert Mitchum and Kirk Douglas. Greer enjoyed good starring roles in several other RKO films of the period ("Station West" 1948, "The Big Steal" 1949), but after Hughes bought the studio, the quantity and quality of its output declined sharply. 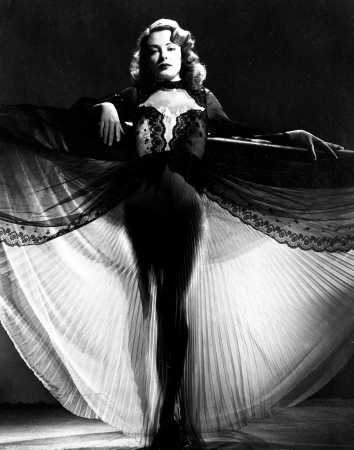 Restless, Greer moved to MGM, but it, too, unsettled after the ouster of Louis B. Mayer, the loss of its theatre chain and the competition of TV, did not seem to know what to do with her. She demonstrated a light, sympathetic comedy touch in the too-mild "You for Me" (1952) and dramatic sensitivity in the sometimes bathetic "The Clown" (1953), but director Richard Thorpe insisted she copy exactly Mary Astor's marvelous turn in "The Prisoner of Zenda" (1937) for the studio's scene-for-scene 1952 remake, leaving her a lovely but less-than-vital aristocrat. 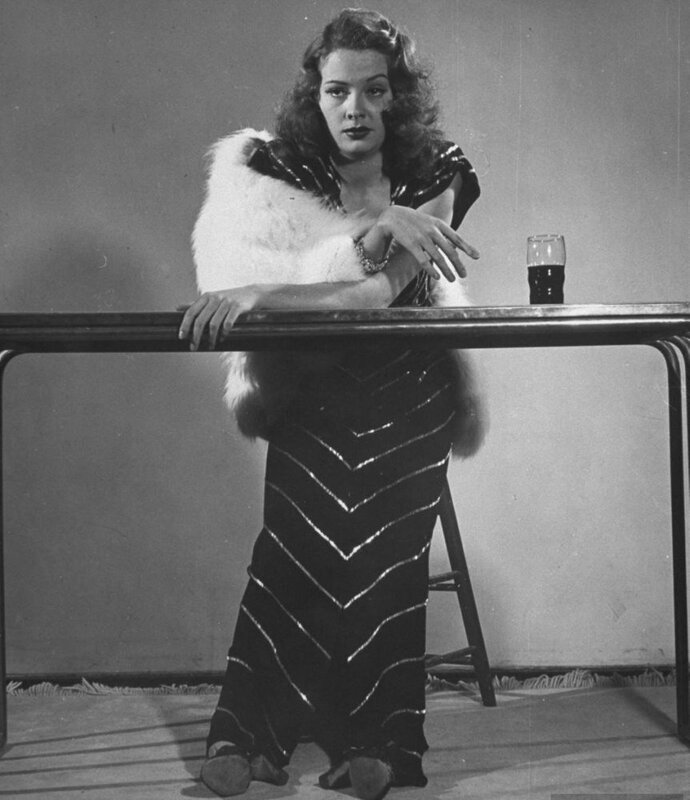 By this point, however, the ambition that had gotten Greer started had also diminished as she came to love new roles as mother and homemaker. 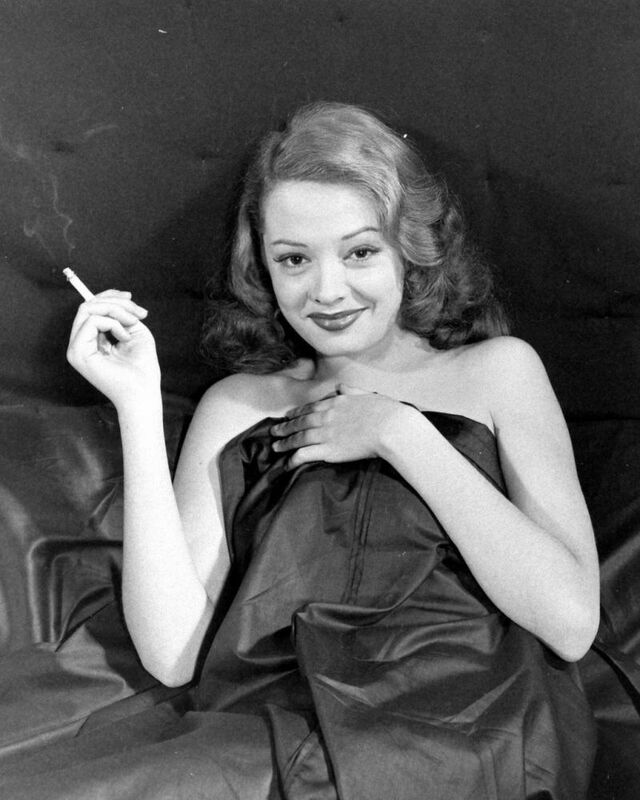 Through the 50s and early 60s Greer maintained a modest career workload mostly on TV, though she did appear in two fine films, the adventure "Run for the Sun" (1956) and the Lon Chaney biopic "Man of a Thousand Faces" (1957), for which star James Cagney had requested her. 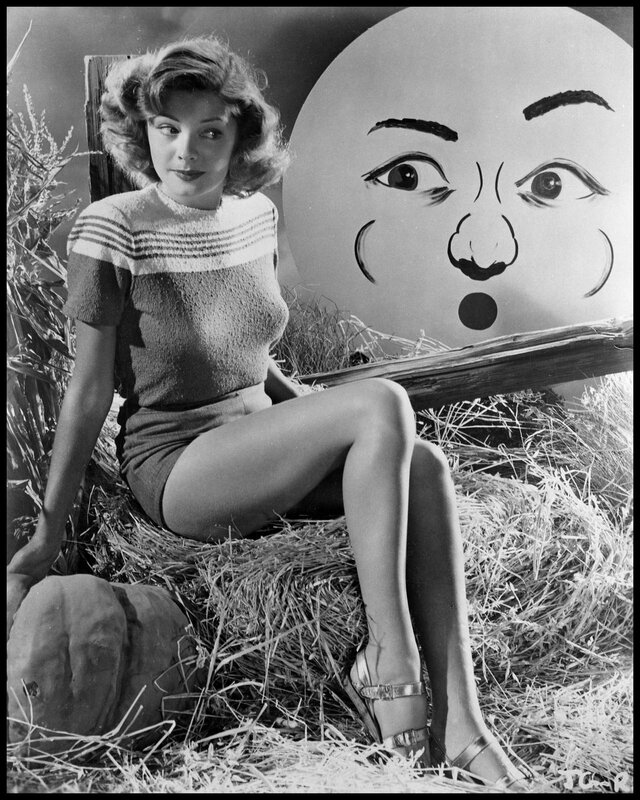 (Unfortunately, her virtuous second wife role suffered by comparison with Dorothy Malone's neurotic ex.) 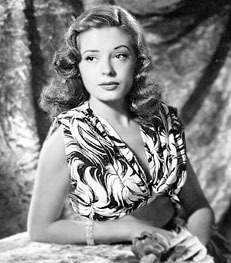 Illness and a lack of roles kept Greer inactive for a time, but in the 80s, silver-haired and still attractive, she cropped up intermittently on series TV and in several feature films, generally in kindly mother roles. Occasionally, however, the old vodka-in-the-OJ edge was allowed to shine through, most notably in "Against All Odds" (1984), a steamy but inferior makeover of "Out of the Past" in which Greer still managed to steal the spotlight as Rachel Ward's nasty mother. A belated thank you to you, Cop.